Some people are very angry about President Trump's new Supreme Court pick. 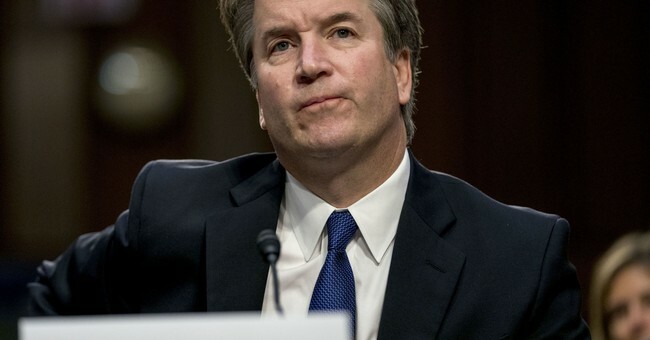 "Hell no, Kavanaugh! He is a dangerous man!" protesters shouted on the steps of the Supreme Court. Sen. Kirsten Gillibrand yelled, "What is at stake is freedom for LGBTQ Americans, for equal rights, civil rights..."
"They are freaking out because they don't understand," Ilya Shapiro, editor of the Cato Institute's Supreme Court Review, tells me. "Those top areas, abortion or gay rights or Citizens United, there's really not going to be a change." Every time one party appoints a judge, the other party acts as if the appointment will fundamentally change America. But the Supreme Court is the most cautious of the three branches of government. Today's Court, headed by Chief Justice John Roberts, is especially respectful of precedent. They almost always base their decisions on decisions made by prior justices, and they often defer to lower courts. That doesn't lead to many surprising changes. Maybe that's why, despite activists protesting most every recent appointment, a study finds most Americans can't name a single Supreme Court justice. After 45 years of legal abortions, Roe v. Wade isn't likely to be repealed. Gay marriage is pretty safe too after a quarter-million gay marriages. The court's unlikely to reverse itself on either issue. Private property cases like the Kelo decision might go differently with Brett Kavanaugh on the Supreme Court instead of swing-voter Anthony Kennedy. In that case, Kennedy joined the Court's four liberals in affirming the government's right to seize privately owned land and give it to other private landowners who might pay more in taxes. Kennedy voted "for the bad guys," says Shapiro, adding optimistically, "Kavanaugh could very well be the fifth vote to overturn Kelo." Shapiro says, "Kavanaugh could provide the fifth vote to overturn that 40-year-old experiment with using racial preferences to promote some kind of nebulous diversity." Kavanaugh also has a history of reining in government regulators -- "all these alphabet agencies that increasingly intrude in people's lives," as Shapiro puts it. "He has written at length that the government keeps doing things that it doesn't have the power to do." At the White House, the day he was nominated, Kavanaugh made a point of saying, "The Constitution's separation of powers protects individual liberty." As a judge in D.C., Kavanaugh voted to strike down some environmental rules. "I like the idea of clean air and clean water," says Shapiro, "but the EPA has taken a lot of liberties." "I think libertarians will like the pushback on government excess," predicts Shapiro. Kavanaugh volunteered to write that decision, enthusiastically arguing that preventing terrorist attacks was a "special need." But the government never could point to an instance where monitoring all of America's communications has ever prevented an attack. "That's his worst case," says Shapiro. "He has a lot of good opinions on... police needing a warrant (and opposing) laws drawn so broadly that prosecutors are convicting people who are not guilty... Clearly, he defers to the government on national security grounds, but most judges and justices do anyway." Libertarians should be happy, Shapiro says. "The fact that we're looking around the edges to see what sorts of things (libertarians) can disagree on shows how far we've moved in 10, 20 or 30 years." If a Kavanaugh Court moves even a little in the direction of restraining government, that's progress.